OverDrive has thousands of eBooks available to choose from. Borrow up to 15 items at a time, and best of all, you never have to worry about returns or overdue fines since eBooks automatically expire at the end of the lending period. If you’re on iOS, Android or Windows 10 devices, download the original OverDrive app or the newer Libby app (a great alternative for beginners). If you’re on a Kindle Fire, we suggest downloading the original OverDrive app. Once the app is installed on your device, open it up, select Downey City Library, and login into your account by entering your library card number (hint: it’s the number on the back of your library card) and PIN. After you’ve logged into your account, you are ready to browse, borrow and read eBooks from our collection. If the eBook you want is checked out, simply place a hold on the book and you’ll be notified when it’s available to borrow. Detailed instructions and help can be found on the OverDrive help page. cloudLibrary has over 60,000 titles to choose from. Use the cloudLibrary app to search for books by author, title, series, ISBN and publication date, or use the app’s browsing features to explore the digital shelves. 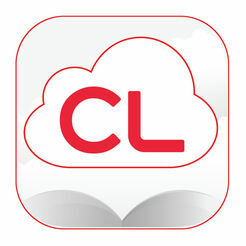 If you're using a mobile device you can download cloudLibrary from the App Store or Google Play. Once the app is installed, use your Downey City Library card number (hint: it’s the number on the back of your library card) and PIN to log in to your account. After you’ve logged in, you are ready to browse our full collection of eBooks and eAudiobooks. For more in-depth instructions you can visit the cloudLibrary how-to-video page. Or for answers to common questions visit cloudLibrary’s FAQ Page.